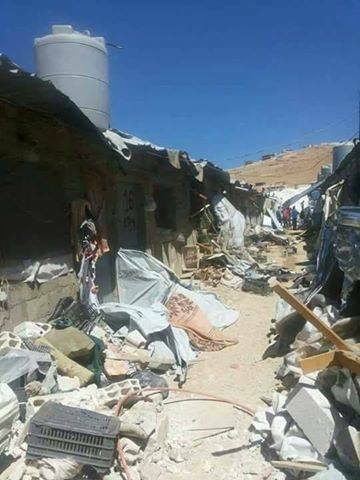 Geneva- The raids by the Lebanese army and Hezbollah forces into informal camps of Syrian refugees near the border are violating the human rights of innocent civilians, charges the Euro-Mediterranean Human Rights Monitor. Particularly in the village of Arsal, the raids are resulting in unjustifiable, arbitrary arrests, torture and killing of unarmed refugees, a Euro-Med team has found. The raids in search of “wanted persons” often use live bullets, killing and injuring civilians in the process. On June 30, for example, Euro-Med documented the arrest and torture of at least 400 people in the camps, violating the 1987 UN Convention against Torture and Other Cruel, Inhumane or Degrading Treatment or Punishment. Arsal is on the border between Lebanon and Syria, and is one of the largest gatherings of Syrian refugees in Lebanon. About 100,000 Syrian refugees live in and around Arsal; most fled the city of Homs after armed conflict erupted in Syria in 2011. “All those arrested should be brought to trial immediately and their places of detention should be disclosed, allowing them to contact lawyers for defense or to provide evidence of their innocence," stresses Euro-Med. In addition, disease is spreading among refugees, especially children, due in part to the halt of medical supplies by the United Nations. "The international community must shoulder its responsibility to support the needs of Syrian refugees in Lebanon and insist on the implementation of human rights standards within the Lebanese army and security agencies," says Euro-Med.